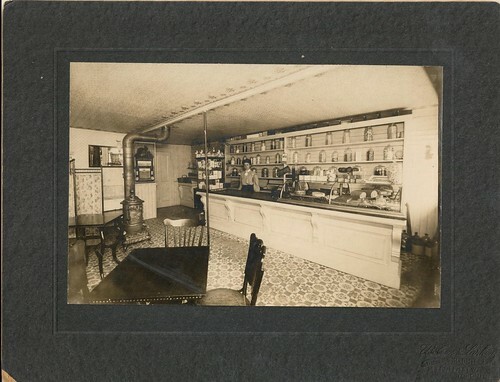 The Detlor shop was in operation for over 30 years. The photograph below shows Bismarck Detlor, his wife, Winnifred (née Moore, 1879-1963) and their eldest son, William Kenneth Detlor (1903-1930). The woman on the left is believed to be Winnifred’s sister, Laura Blake. The family are standing outside the Detlor store, with their car. 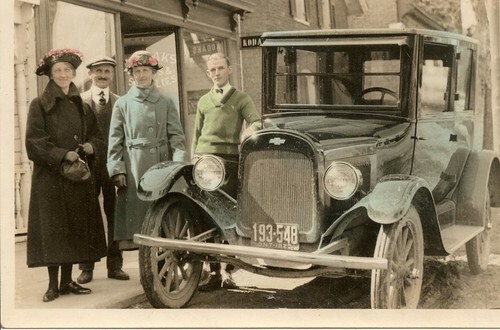 In this photo, a ‘KODAK’ sign can be seen just behind the car: the store sold camera supplies as well as baked goods and candy. An intriguing combination!